This post is made in partnership with Canvas people. as always, thoughts, opinions and stories are my own. I cannot tell you how excited I am to finally hang something ON THE WALLS! 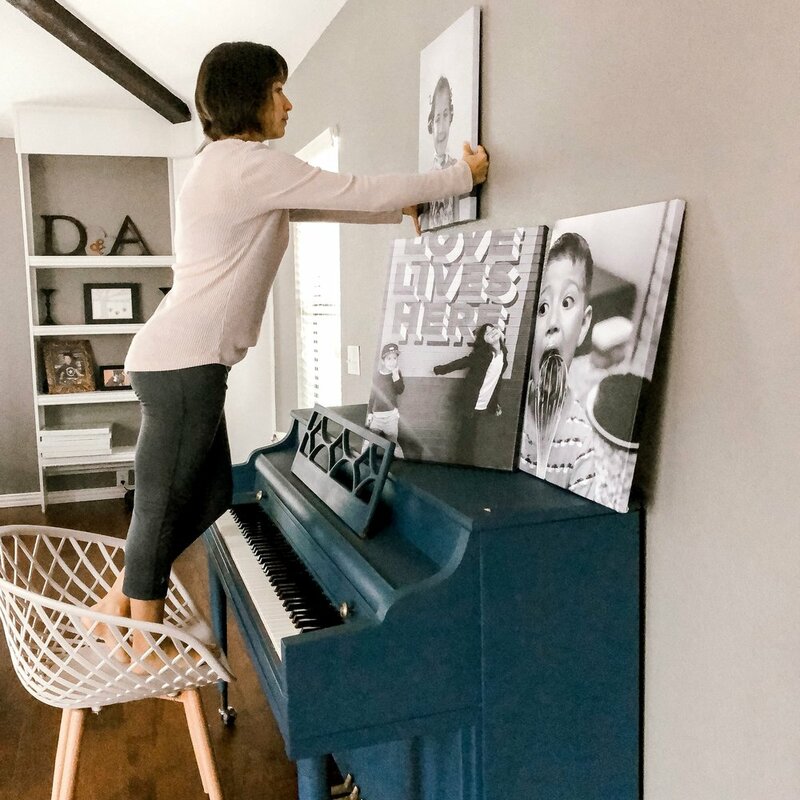 There are a billion canvas printing companies to choose from but I partnered with CanvasPeople to finally bring some art and memories to our living space. And I am really happy with the results. The ordering process was super simple and really affordable. They came undamaged and ready to hang. One thing I noticed about the canvases that I have never seen done before is the clear grip pads on the bottom of the canvas so it doesnt damage the wall, hangs evenly when hung, and it doesn’t swing. I wanted to do photos that weren’t the typical staged family portraits you usually see. For our living room I wanted a classic look like real art that went with the decor of our living room. So I ordered black and white photos with pictures of our kids that really showed off their personalities and joy. The kids had no idea which photos I chose so it was fun to see them when the packages came in and their reactions. If you’ve had bare walls and you keep saying you’re going to hang photos, just do it already! I seriously feel so adult getting pumped about canvas photos but here we are lol. Now to get the hubs to hang them because Lord knows if I do, they will be crooked and he’ll have to re-hang them anyway! lol.